The Guru Gautam Steel industry has gained popularity in a short time because of its high quality of Reducing Flangessupplying globally. The offered range of product is actually produced by using excellent quality of metals that is greatly responsible for offering various good attributes. In the manufacturing corporation, the producers of flanges are essentially considering various raw material with standard qualities for product designing. The effective use of modern equipment and tools and the latest technology has resulted in a better outcome so easily all applications desires can be satisfied. 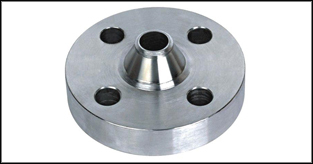 For a purchaser buys flanges, need not have to take tension regarding product pricing; it is available at market leading rates. The supplier to its buyers is offering manufacturer test certifications accordance to EN 10204/3.1B. Buy the reducing flanges and satisfying all the applications demands to assure smooth functionality. Type of Flanges : Weld Neck Flanges - WNRF, Slip On Raise Face - SORF,Screwed (Threaded) Flanges, Long Weld Neck Flanges, Reducing.